Even before the official launch of the survival video game “No Man's Sky,” there is probably a copy of the game is currently circulating and there are spoilers and information for game time. According to the Reddit user "daymeeuhn," he paid more than 1,000 euros for a copy of No Man's Sky. However, it remains questionable whether that version of the game is actually the retail version, or not quite finished developer version. He had already played the No Man's Sky extensively and writes on Reddit, according to him you should be able to reach the Center Of The Universe in 20 to 30 hours of gameplay. He had also noticed that in his version of No Man's Sky there are many bugs and clearly needs the urgency of an update for the publication (Day One Patch). On the PS4 the game was repeatedly crashed - usually at warp jumps. " Daymeeuhn course has many more impressions for the game, which you can read on reddit. But keep in mind that the game is slated for release on PS4 and PC on August 10. The official release date is getting closer so wait until then to explore everything yourself. Even the game's developers warn fans about the spoilers. 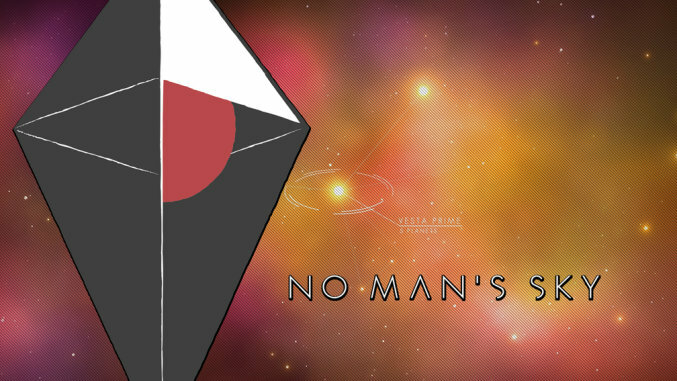 In No Man's Sky, you travel through the universe and explore distant planets with your spaceship. Some of them are inhabited by living beings. You search artifacts and try to unlock the secrets of the universe. On the planet you also collect raw materials in order to exchange them for spaceships, suits and other equipment.